Food has been something so important to us. The day that my wife was diagnosed with Celiac was rough, and for obvious reasons it was rougher for my wife. I love my wife greatly, and I consider myself one of the luckiest men. She is one of those people who genuinely care about others, and I knew she felt this was going to be a huge burden on our life. Honestly it was not an easy start, but taking on this lifestyle change helped us work together, and brought us closer. Before the day Amanda was diagnosed, I have never heard of Celiac. My thought on the gluten-free thing was that it was another one of those diets, after all there is there are the “no carb diets” “no meat\dairy diets.” I thought it was a fad. It took a lot of research to understand it, but information is what helped us to know how to deal with this. So I would encourage you to check the following links for information. My father was a baker. I basically grew up in a bakery in Peru. My whole family loves bread, and explaining this to them was not easy. My love for food comes from my family, and they were a great support as we learned how to modify dishes to make them gluten-free. Our quest for gluten-free Latin food started. 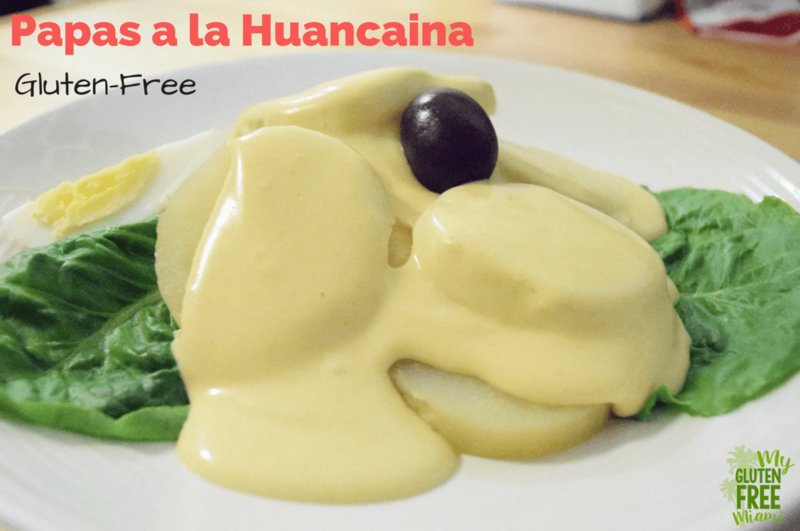 One of my wife’s favorite Peruvian dishes is “Papas a la Huancaina“, which is basically made out of cheese, milk, aji, and CRACKERS, which, of course, have gluten. When I told my wife that she won’t be able to have it, she cried (I would have probably cried too. Yes, it is that awesome!) But my wife, being the awesome and resourceful woman that she is, found some gluten-free crackers and we did some tests and modified the original recipe and it worked. Later, my mother found out that there was gluten-free crackers, so she had us order a whole box and now everyone eats gluten-free “Papas a la Huancaina” and can’t tell the difference. We have this dish pretty much every time we visit my family. It has been a challenge to convert to the gluten-free lifestyle, but for the health of my wife, it has been worth it. A healthy family is more important than bread anytime. I have a few friends that have Celiac disease and they have had the hardest time since they are all “foodies” too. I think it’s great that you were able to find a way around the gluten and make this recipe work for you. Thank you so much for sharing and linking up with us over at the Welcome Home Wednesdays Link Party! 🙂 Don’t forget to grab your button! Hi! Feel free to send your friends my way! We have lots of other great stuff coming up! I will grab that button today! Having Celiac disease doesn’t sound fun at all! I love that your family still tried to adapt their (delicious sounding!) food customs to help accommodate her. That’s so sweet! Thanks for sharing at the Welcome Home Wednesday link party…we really hope to see you again this week! Hey Amanda! Thanks again for linking up on the Sunday Blog Hop. I love this post. And I love even more that you got your husband involved in your blog. I envy you lol! Thanks for hosting! He is pretty awesome, I feel very lucky! 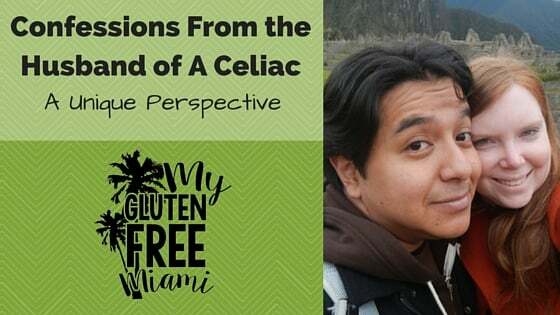 My sister has Celiac and it was sometimes difficult not excluding her from all those big life events that tend to revolve around the food. Having a supportive family makes all the difference! Way to go! I’m going to share this recipe with her thank you! Thanks! It’s a great recipe! Feel free to share the site, I have some great things planned for the next week, including a printable to help with shopping :). He is! I don’t know if I could have made the transition as easily without his support. Lisrening to a husbands perspective is so interesting – how often do us wives worry over everyone other than ourselves, and in the end it matters way more to our families for us to be healthy than self-sacrificial. What a great post. You’re husband rocks, Amanda. But, i’m sure I didn’t have to tell you that. And, I still have to make this recipe, it looks so good!